Once again KAT-TUN teamed up with Suzuki to promote the car “Solio”. After using “Ultimate Wheels” for the CM last December, the new song being used this time’s called “Run For You”. KAT-TUN’s Kazuya Kamenashi Threw “Hit By Pitch” On NPB; KAT-TUN to Release New Single! KAT-TUN member Kazuya Kamenashi was selected to throw the ceremonial first pitch of Nippon Professional Baseball. The opening match was between Tohoku Rakuten Golden Eagles and Fukuoka SoftBank Hawks, and was held in Miyagi. Kamenashi, who showed his talented baseball skill in Johnny’s sports meeting, was about to throw a wonderful first pitch against the batter Takeshi Yamazaki. However, it turned out to be a hit by pitch. And Yamazaki who was leaning back suddenly flopped on his back. He lied on the ground with a smile, threw away his bat, and had lime stuck on his back. Later, he bended his arm on Kamenashi’s shoulder and laughed together. 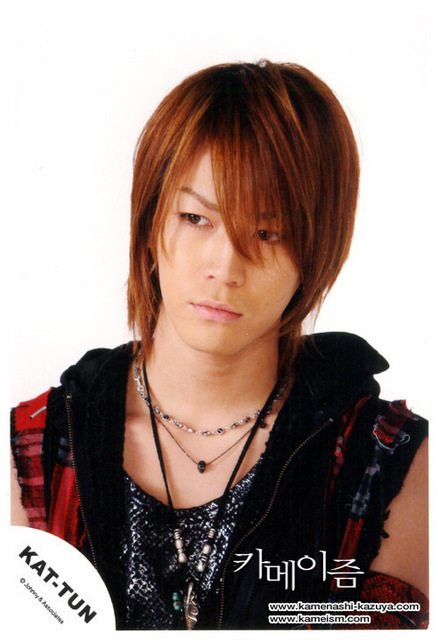 Maybe it was a little regret for Kamenashi as well. 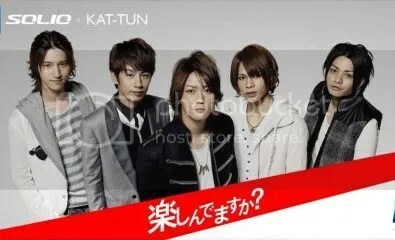 Meanwhile, KAT-TUN is going to release a new single “Going!” on May 12. Title song “Going!” is also used as the theme song of “Going! 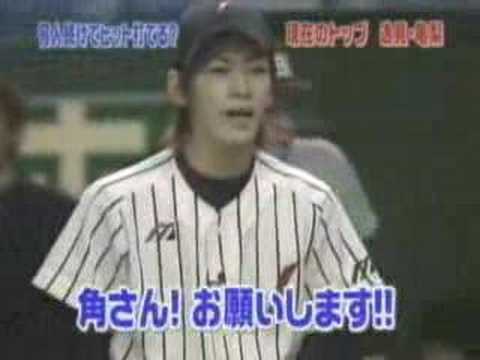 Sports&News”, a TV program where Kamenashi working as a baseball special newscaster. All three editions, including limited edition1, limited edition2 and normal edition will be released. In the limited edition 1, a DVD with video clip & footage of “Going!” is attached. In the limited edition 2, two solo songs of Kouki Tanaka and Yuichi Nakamaru respectively, are included as the 2 A-side tracks. And in the normal edition, the 2-A-side track “FALL DOWN” can be found. I love this guy. He is Amazing! This is awesome! The guest Masi Oka is awesome. I read that “His IQ was 180 when he was a kid, he beatboxes, he acts, he impersonates, he speaks 3 different languages, etc. etc.” like wow! The movie “BANDAGE,” directed by Takeshi Kobayashi and starring KAT-TUN’s Jin Akanishi, has been scheduled for release on January 16, 2010. But before the end of this year, Akanishi will make his solo CD debut under the name LANDS, the fictional band that appears in the film. “BANDAGE” has been in the works since 2008. The movie depicts the friendship of the four bandmates of LANDS as they aim for success. 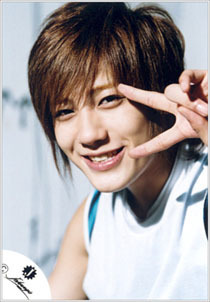 Akanishi plays the band’s leader and vocalist Natsu.